National bakery launches photo contest; weekly winners will win back-to-school gear and one grand-prize winner will be featured in a Rudi’s Organic advertisement and win $500 to Whole Foods Market. “We are committed to making the world a healthier place, so sponsoring Take Your Parents to Lunch Day made perfect sense for us,” said Doug Radi, senior vice president of marketing and sales for Rudi’s Organic. Rudi’s Organic Bakery® is proud to partner with KIWI magazine and the School Nutrition Association (SNA) to sponsor National School Lunch Week and National Take Your Parents to Lunch Day with a Say Cheese photo contest. The annual National Take Your Parents to Lunch Day campaign allows parents to experience school-provided lunch with their children. The goal is to encourage parents to have lunch in their child's cafeteria, so they become aware of the food their children eat every day. Together, parents and food service providers are developing healthy nutritional habits for future generations. For more than 35 years, Rudi’s Organic Bakery has been making the lives of families healthier and happier by baking nutritious and delicious breads, made with zero added junk, and this partnership is a natural extension of this commitment. To celebrate Take Your Parents to Lunch Day, Rudi’s Organic is getting deliciously cheesy. Now through Sept. 15, 2013, fans can enter the Say Cheese photo contest by submitting a photo of their child enjoying a delicious sandwich. Rudi’s Organic will select the top five photos, and from Sept. 30 to Oct. 11, fans will vote on the finalists to select the winner. The entry with the most votes will be named the grand prize winner on Oct. 16, 2013. The participation process is simple. 3. Parents are invited to share their image with friends to spread big smiles and encourage others to enjoy a delicious sandwich. The grand prize winner will receive a $500 gift card to Whole Foods Market in addition to being featured in a Rudi’s Organic advertisement. During the campaign, Rudi’s Organic will brighten the day of fans across the country with weekly prizes, given to random photo contest entrants. These weekly prizes include: Amazon gift cards, North Face backpacks, Razor scooters, Canon Powershot cameras, Wiis and iPad Minis. 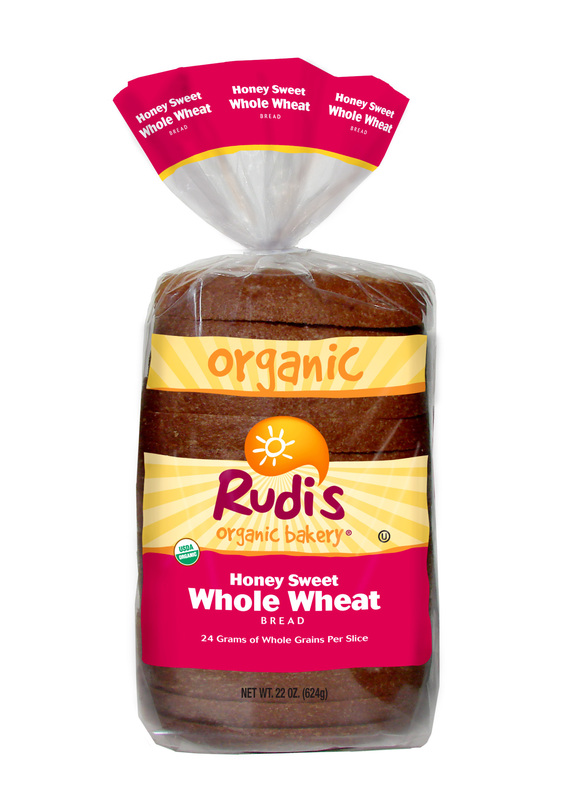 Rudi’s Organic Honey Sweet Whole Wheat - A drop of golden honey goodness turns whole wheat into a treat in this sandwich bread. 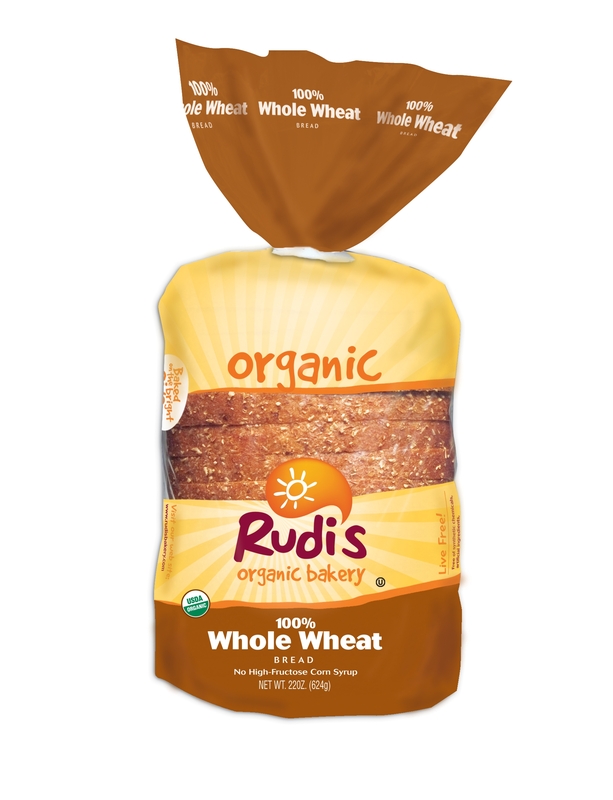 Rudi’s Organic 100% Whole Wheat –With whole wheat flour and a hint of molasses, this sandwich bread is sure to become a family favorite. Rudi’s Gluten-Free introduced a new softer and fluffier recipe in their Original, Multigrain, and Cinnamon Raisin Sandwich Breads. The new Sandwich Breads have a scrumptious taste, longer shelf life and double the fiber content with 2g per serving. For more information on the Say Cheese photo contest and Rudi’s Organic and Rudi’s Gluten-Free products, including Sandwich Breads, Tortillas, Wraps, Buns, Rolls, Sandwich Flatz, Bagels and English Muffins, visit rudisbakery.com. Rudi’s Organic Bakery, Inc., has been passionate about baking better breads for families for more than 35 years. Founded and headquartered in Boulder, Colo., Rudi’s Organic Bakery is the only nationally available brand offering a full line of nutritious and delicious, certified organic breads and baked goods. Rudi’s Organic is committed to baking breads using only the best organic ingredients and no artificial additives, preservatives and GMOs. In 2010, Rudi’s Organic leveraged this heritage to create Rudi’s Gluten-Free Bakery, a line of gluten-free breads and baked goods made with wholesome, all-natural ingredients so that each bite tastes like the real thing. Rudi’s Organic and Rudi’s Gluten-Free products are available nationally at natural foods stores and select mainstream supermarkets. For more information, visit rudisbakery.com. For more information on National Take Your Parents to Lunch Day, visit myhealthyschool.com. For more information on KIWI, visit kiwimagonline.com.